The UNC Wilmington women’s basketball team returns to Trask Coliseum this weekend on the back of an up and down last couple of weeks. After knocking off Colonial Athletic Association leaders James Madison and Towson in back-to-back contests, UNCW (11-7, 4-3 CAA) dropped two winnable road games at Delaware and Drexel last weekend. After a week that saw the team announce themselves as a potential threat for the CAA title, the Seahawks were brought back down to earth last week. Now back in town for Homecoming, the team will look to continue its unbeaten home record and get back to its winning ways against both Hofstra and Northeastern. First up to visit the Port City is Hofstra who comes into Friday night’s 7 p.m. meeting with a 7-12 record overall and a tie for bottom of the conference standings at 1-6. The Pride snapped a six-game losing streak last weekend with a victory over Northeastern, who the Seahawks will face on Sunday afternoon. Senior guard Boogie Brozoski scored a career-high 34 points to lead Hofstra to its first victory since Dec. 29. Brozoski paces the Pride with 16 points per game, the only Pride player averaging double figures this season. The mark is good enough for seventh in the CAA scorers’ table. 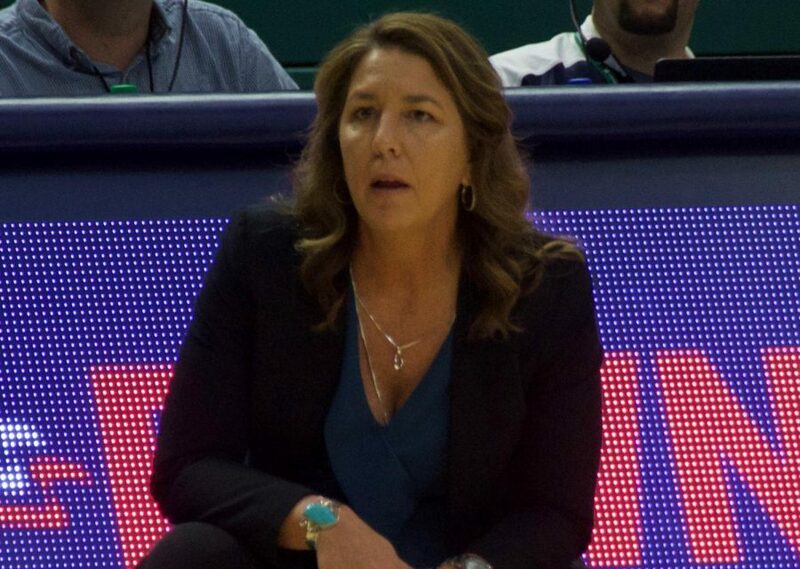 Offensively, coach Karen Barefoot will continue to look to redshirt senior guard Shrita Parker and redshirt junior guard GiGi Smith for firepower. Smith paced the Seahawks with 18.5 points and 7 rebounds per game last week, including a 20-point effort in last Friday’s loss to Delaware. Meanwhile, Parker continues to lead the Seahawks with 17.6 PPG, ranking fourth in the conference in scoring. She also dished out a career-high eight assists in the loss to Drexel on Sunday, the most by any UNCW player this season. Hofstra plays a rather small lineup, with junior forward Marianne Kalin the only player above six feet in the starting five. UNCW could exploit this by playing a four-guard lineup of Parker, Smith, Lacey Suggs and Ahyiona Vason with Chinyere Bell at the forward position. Barefoot could switch Bell and Paige Powell on and off, with both of them using their size to outmuscle Hofstra on the glass. Additionally, the Pride run their offense through Brozoski. Look for Barefoot to put either Suggs, Smith or Parker on Brozoski on defense. If either of those three can take Brozoski out of her usual rhythm and take her shot away, the Seahawks could make slight work of Hofstra. Following Friday night’s game, UNCW will close out Homecoming weekend by hosting Northeastern on Sunday afternoon. That game is set for a 1 p.m. tipoff.